Heat treated hi-carbon steel wire . 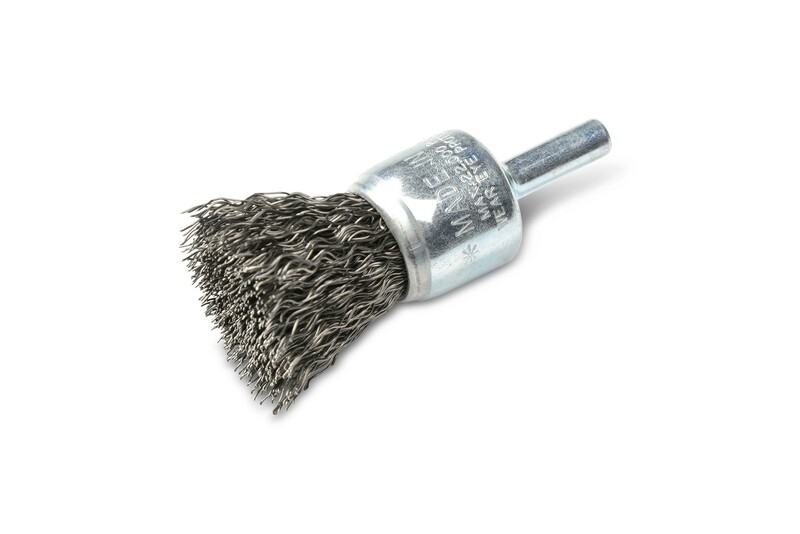 Used in portable hand toods or drill presses for bores, corings, pockets, etc. Remove sand, dirt, scale, paint, etc. Do not use damaged or rusted brushes. Do not exceed the Max Safe Free Speed MSFS, which is the max no-load RPM. Wear eye protection, appropriate clothing(not loose fitting) and use appropriate machine guards.